The California II has a sleek and defined shape that will fit in any homeowner's bathroom. This shower enclosure will also add a modern appeal to any space with its chrome finish and clear tempered glass. California II 36-Inch x 48-Inch Shower Door The California II has a sleek and defined shape that will fit in any homeowner's bathroom. 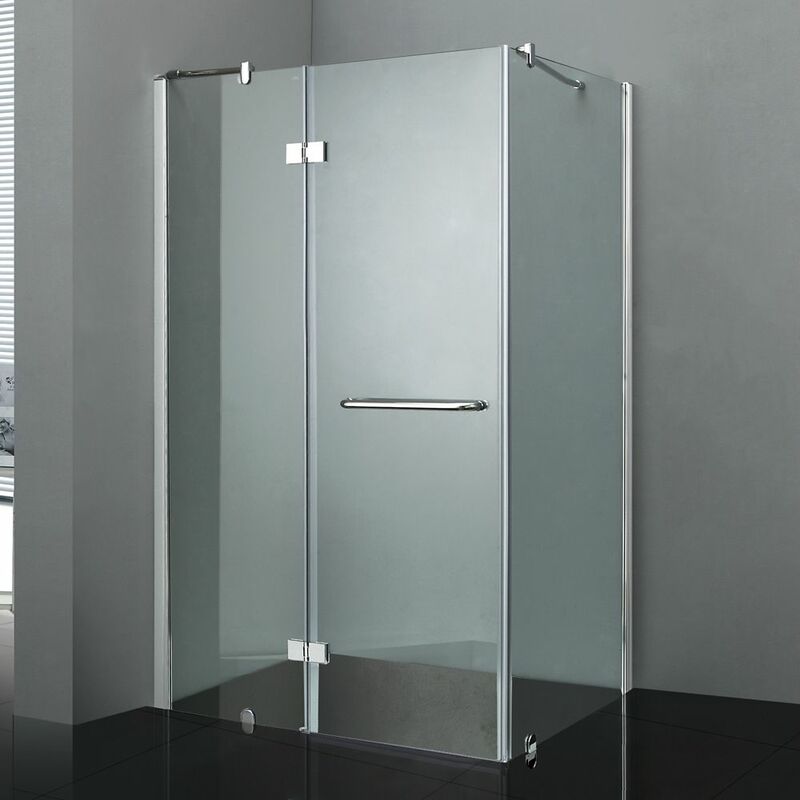 This shower enclosure will also add a modern appeal to any space with its chrome finish and clear tempered glass. California II 36-Inch x 48-Inch Shower Door is rated 4.0 out of 5 by 1. Rated 4 out of 5 by Duathlonrocket from Finished look is perfect. I am a retired construction contractor and have installed at least 50 shower stalls and this one works out well and looks great. One caveat however, you must have some experience if you are installing yourself ( DIY) as there are no detailed instructions provided and the company web site was 'down' for on line measurements. It would make installation a lot easier if you purchased the same companies shower base as apparently the walls final markings are embossed on it for layout. We did not as we wanted an 'almond' coloured base and not white. Is this unit available in 36in / 42 in dimension? Does it complete, glass and door and base. Or it it just the door?? This sku does not include base, but if you are interested in this model the sku #1000757985 includes the glass panel, door and base. Yes this unit id reversible. This one no but if you are interested in getting the base you may order the EN6436B sku # 1000757985 this one includes the base.